Peel and stone the chayote and slice the flesh lengthwise into 8 pieces, then cut into matchstick-like pieces. Heat the vegetable oil in a small fryer. 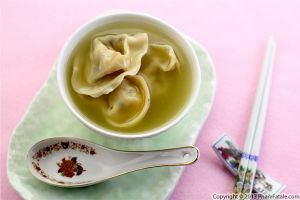 Place the wontons one at a time into the hot oil; cook up to 3 wontons per batch. 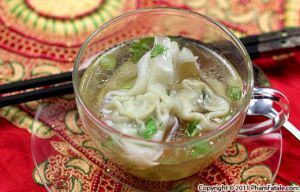 Make sure the wonton wrappers don't touch each other. Lower the heat to medium. Deep fry for 2 minutes per batch. They will start to pop and turn golden. Flip each piece using chopsticks or a spider skimmer and cook for about a minute more until golden on both sides. Transfer to a paper towel-lined plate and set them aside. Cut the tofu lengthwise into ¾-inch slices, then cut crosswise into logs. Sprinkle with salt and red chili powder. Toss well. In a wok, transfer the canola oil from the small fryer. Pan-fry the pieces on all sides until golden. The tofu should have a nice fried outer crust and still be moist inside. Transfer the tofu onto paper towels. Allow to cool a little. In a small bowl, combine the black bean sauce, soy sauce and sugar. Stir well. In the same wok, add the chayote pieces. Ensure that they're lightly coated in oil (no need to use a lot). Cook until lightly golden on all sides. Sprinkle with salt. Drizzle with the black bean mixture. 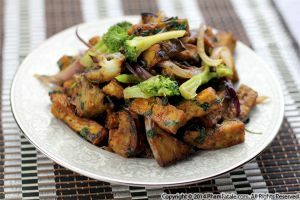 Toss well, sprinkle the carrots and yellow onions over the tofu and chayote. Toss one more time, cover with a lid, reduce the heat to low and cook for about 5 minutes until soft and tender. Check seasoning; add salt and black pepper. Turn off the heat. with your hands, crumble the reserved fried wontons and add to the vegetables. Mix well. Keep on the stove for about 5 minutes. Transfer to a serving platter. Garnish with parsley or cilantro. Serve with jasmine rice and drizzle a little vegetarian nước chấm dipping sauce over it. 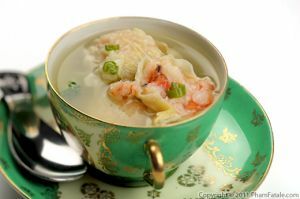 You could add any other vegetables such as enoki mushrooms, straw mushrooms, bok choy, bean sprouts or zucchini. 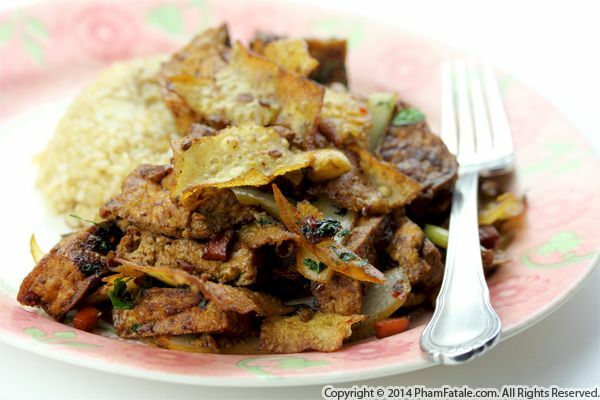 If you like you, you could add stir-fried thinly sliced chicken breast. I used Golden Gate brand tofu; just make sure to look for the firm version. You can use store-bought chili black bean sauce, like the one from Lee Kum Kee. Be sure to adjust the seasoning as this sauce is quite salty. 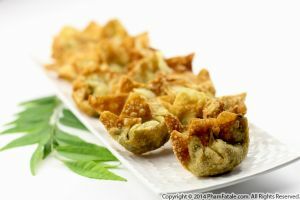 The idea of this vegetarian dish was to use leftover wonton wrappers after frying appetizers. I was running out of filling so I decided to make another dish frying the remaining wrappers and incorporating them into a tofu dish. Published By: Jacqueline Pham on February 5, 2015.